It has been decided that if a concert is canceled due to the fault of the production company, that company must not only give full refunds for tickets but also pay an additional 10% for compensation. The Korea Consumer Agency’s Consumer Strife Arbitration Committee recently held a conference and settled a verdict on the dispute regarding the canceled ‘SM TOWN Live ’09′ concert that was to be held by both SM Entertainment and Dream Maker Entercom. According to the committee, the two companies put the concert on hold indefinitely on August 7th, ten days before it was to be held and refunded all tickets. The reason given for the postponement was the exclusive contract suspension injunction filed by three members of TVXQ against SM Entertainment. However, 729 people who bought tickets stated, “Because the concert was suddenly canceled, we had to pay cancellation charges on all events we had planned for the concert as well as on all transportation for overseas and rural area fans,” and filed for a group strife request that demanded additional compensation. The committee also told both companies that they had to pay a total of 9,130,750 Won (approximately 8,200 USD) in additional compensation. According to the ‘Consumer Strife Settlement Criteria’, if a production company cancels a concert due to reasons related to the company, they must fully refund tickets as well as pay an additional 10% of the ticket price as compensation. TVXQ members who are in dispute with SM Entertainment regarding exclusive contract issue; Jaejoong, Junsu, and Yoochun are forming a three members unit in Japan. According to the news aired by KBS 2TV ‘Entertainment Tonight’ on the 17th, Jaejoong, Junsu, and Yoochun are forming three members unit to explore new activities. Regarding this, TVXQ agency SM Entertainment which had been appealed by the three TVXQ members related to exclusive contract provisional injunction, promptly filed a lawsuit in claiming for damages worth 2.2 billion won as expression of their strong regret. SM Entertainment had attributed the main reason for the “TVXQ’s Lawsuit” to be the cosmetics investment business by some of the TVXQ’s members and used this reason as justification to propose a 2.2 billion won in damages from the 3 members. The declaration that SM Entertainment had submitted to Seoul Central District Court on 14th April claimed that “Some TVXQ members had invested in a cosmetic company which resulted to be the beginning of the conflict. They have used TVXQ’s name and portrait without the company’s consent and that have violated the exclusive contract. However, they denied the effectiveness of the exclusive contract and proposed the disposition for the effectiveness of the termination of the exclusive contract”. During November last year, China Beijing Kowloon Station Century Culture Communication Co. Ltd* (Gao Jian Wen, Representative. Also known as Beijing Kowloon Station Inc.) had used “The fraud of Crebeau which is the collaboration between TVXQ’s 3 members and Korea Cosmetics Company, Wisyaplus had caused their damages” as the reason to apply for legal action for the damages compensation at the District Court. Recently, the cosmetics company, Wisyaplus announced that “Beijing Haidian District People’s Court rejected the Beijing Kowloon Station Inc’s claims” and revealed the China Court’s arbitration decision documents. According to the open verdict, the court had rejected all the arbitration applications from the applicant (Beijing Kowloon Station Inc.) and the applicant will bear all the costs for the arbitration (38,470 yuan = 5,635 USD). TVXQ’s 3 members has nothing to do with the cosmetics company promotion and this was ultimately confirmed by the China Court. And SM Entertainment have been using the photos of the 3 members attending the investment seminars to suspect if the 3 members had directly or indirectly carry out promotional activities. On the other hand, the cosmetic company’s representative, President Kang Suk-won had expressed towards the accusation of SM Entertainment attributing the main cause of the TVXQ’s lawsuit with the members’ cosmetics business that “The police investigation has already shown that the reason behind the TVXQ’s lawsuit has nothing to do with the cosmetics. However, SM Entertainment once again entangled with it. Therefore, our company will propose a reputation damage lawsuit again for the third time”. President Kang Suk-won claimed that “The reasons why TVXQ’s 3 members had filed a lawsuit towards SM Entertainment are because of the unfair contractual relationship and unjust distribution of income distribution. This fact has been ruling in the injunction application and it was confirmed. However, such behaviour seems to have become a kind of inertia for SM Entertainment in order to rescue its company reputation”. Wisyaplus had already filed the reputation damage and impede business lawsuit towards SM Entertainment twice in August and November last year. Seoul Gangnam Police Department investigation ended in February and make the decision of without detention and transfer investigation towards SM Entertainment representative, Kim Youngmin. At that point of time, the police had already made a judgement that “The lawsuit of ending the long term exclusive contracts requested by TVXQ’s 3 members had nothing to do with the cosmetics investment”. [TRANS] 100416 Tohoshinki’s New Unit Worsens Relationship Between Avex And Korean Management Agencies? 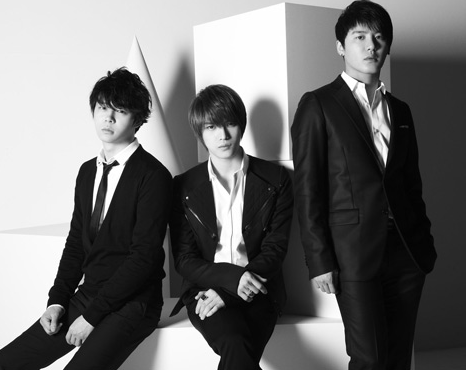 Tohoshinki’s Jejung, Junsu and Yuchun announced on the 14th that they have a new exclusive contract with Avex Management, and also started activities under this new unit. Because of this, in Korea, the relationship between Avex Management and Tohoshinki’s Korean management company has shown signs of deterioration. Avex is one of the leading Management Agencies in Japan, with many popular artistes such as Namie Amuro and Koda Kumi under them. 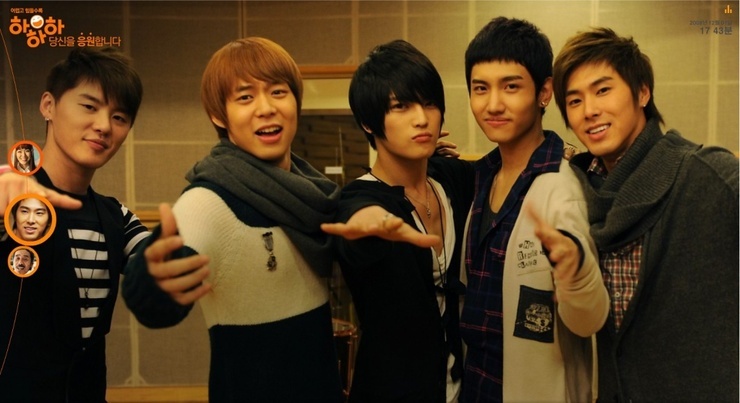 Before Tohoshinki, they had helped BoA break into the Japanese Market, and an alliance with SM Entertainment was formed. To the Korean media, the signing of Avex’s contract with the 3 members has led to speculation that Avex may want to cut off all ties with them (SM Entertainment). SM Entertainment denies these allegations, and according to a representative, both companies still have strategic partnerships that have remained unchanged. SM Entertainment’s BoA is still managed by Avex Management in Japan, and SM Entertainment says that they working on the promotions for Avex Management’s ICONIQUE as well. On the other hand, there were also reports saying that Avex’s attitude is “dishonest”. The contract with the 3 members for the new unit has shown a choice of utility over SM Entertainment’s trust. Korean Media also reports that this may have something to do with the fact that Avex is currently in a business slump.